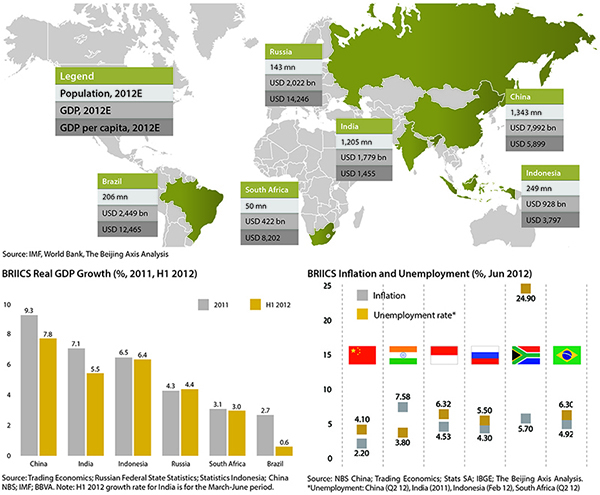 Fantastic graphic showing the key economic strengths and weaknesses of the BRIICS at a glance. What stands out for me: should South Africa be in there at all? Does India’s massive and growing population mean it will inevitably take over Brazil and catch up with China, or will the problems of overpopulation prove to be a burden?